What's The Most You've Put Yourself Through For A Car? You can spend a few hundred on a car or a few million. Whether or not these prices are justified is between you and your god, but it doesn’t change the fact that sometimes they are beyond our budget. So, what was the worst thing you did to yourself to make a car happen, or keep it running? This topic was sparked by an email sent by a reader named Paul to our dear David Tracy. Paul admitted that he found himself buying a lot of stuff to make up for the emptiness in other aspects of his life. 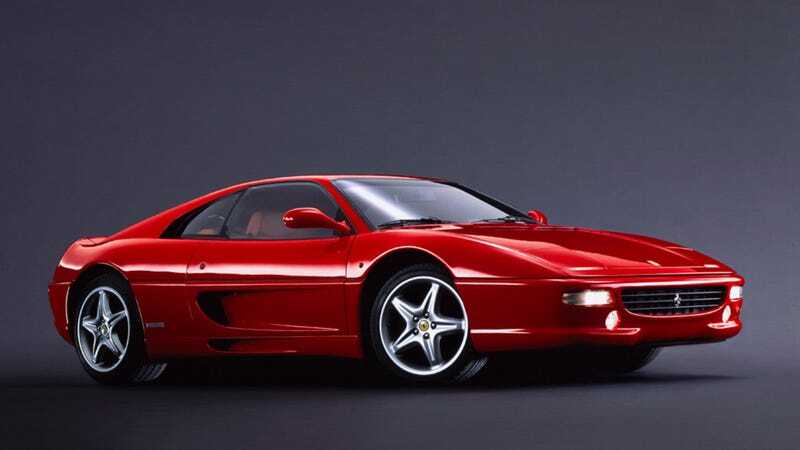 Naturally, he thought buying his dream car—a Ferrari F355—would bring him lots of peace and joy. Paul worked long and hard to make enough money for the Ferrari. He averaged 13-hour days. He revealed that the endeavor cost him “countless memories with [his] friends and family—even the love of [his] life.” But he kept telling himself that it would all be worth it the day he picked up that Ferrari. It seemed like a really dark period for him. Luckily, though, Paul recently left his job and feels relieved. Though his life is a little in flux right now, he still has the Ferrari and he’s glad for it because, in his mind, it’s one less thing he has to drive himself insane over. “In a way, this car is now like a rock to cling to,” he reasoned. Do you guys have similar experiences to Paul’s? Slaved away at your job to make the extra cash for the car? Missed out on important social milestones with your friends and family? Made crazy sacrifices?